Speaking Request Form - Erin M. Jacobson, Esq. 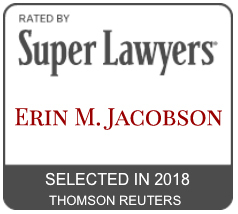 Thank you for your interest in having Erin M. Jacobson, Esq. speak at your event. Please complete and submit the form below to send your request to Ms. Jacobson. Please provide a brief description as to how the event will be promoted and to whom. This is a private event (not open to the public). This event is open to the public. Admission to this event is free. There is a fee charged to attend this event. Speaker Fee Amount * Please indicate the fee offered for Ms. Jacobson's appearance. We will cover or reimburse Ms. Jacobson's parking and other admission fees. We will reimburse travel expenses and mileage. We will reimburse mileage only. Thank you for your request. Thank you for submitting a request to have Ms. Jacobson speak at your event. We will respond to your inquiry as soon as possible.